“Power to Alabama” is not a slogan. Or a tagline. Or simply a play on words. It’s more of a philosophy. 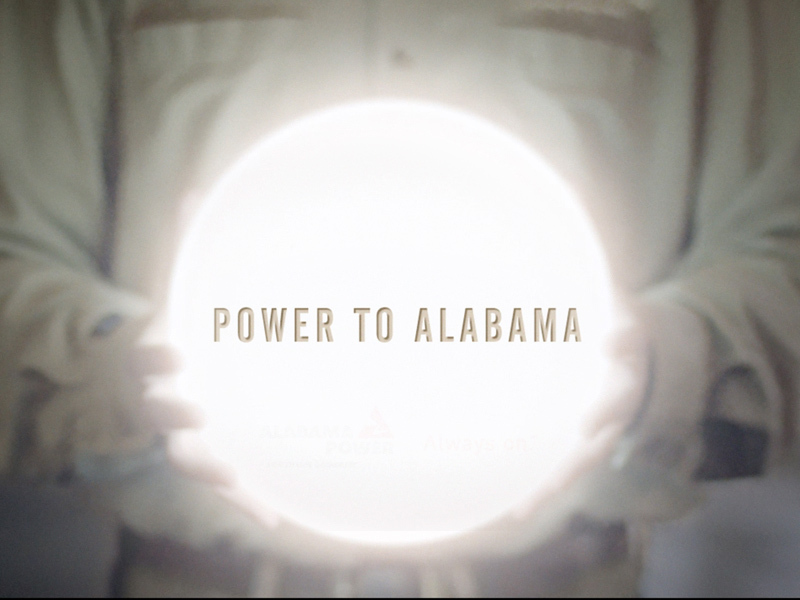 A world view that sums up the role that Alabama Power has played in the past, present and future of the state. 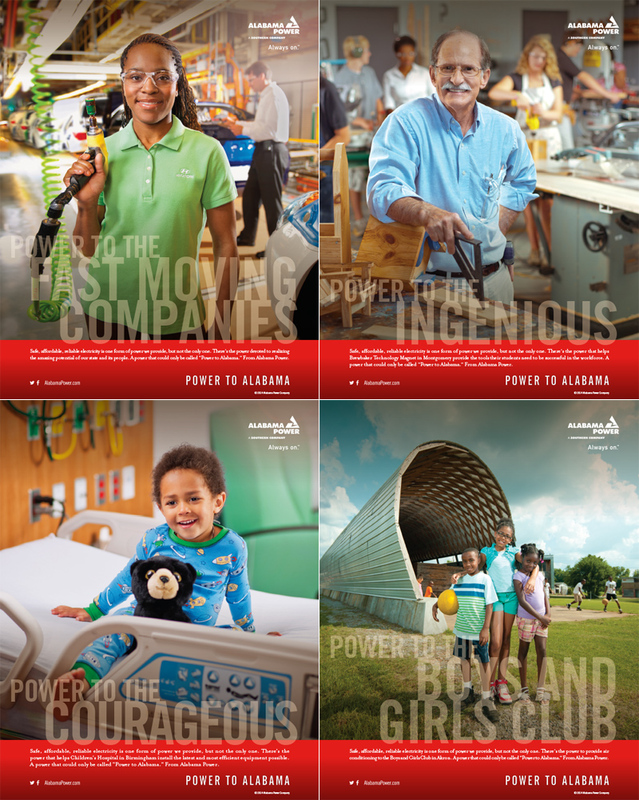 Power to Alabama” is saying much more than “we supply power to Alabama.” It’s saying, “Go, Alabama!” So, while we did shine a light on some of the positive things AP was doing in the community, the larger mission was to establish AP as an official cheerleader for the state — to be the bearer of all the great things happening in business, the arts, education and more. 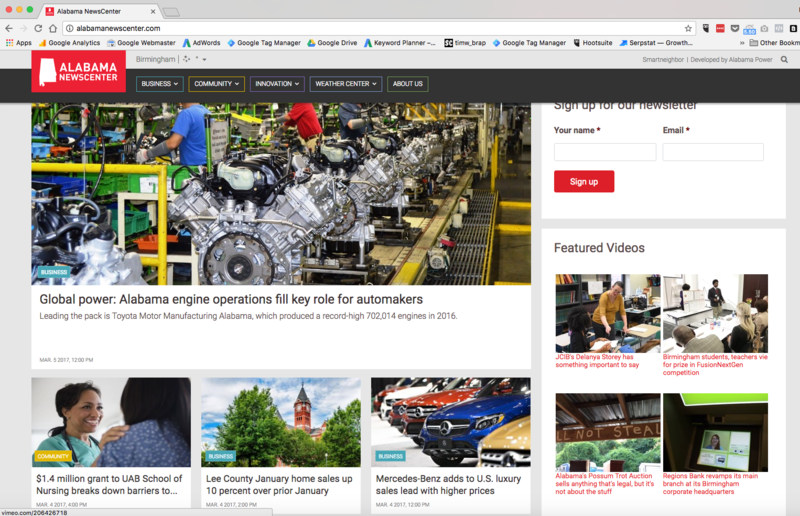 Print and online advertising put the spotlight on the people and organizations who make the state so special. 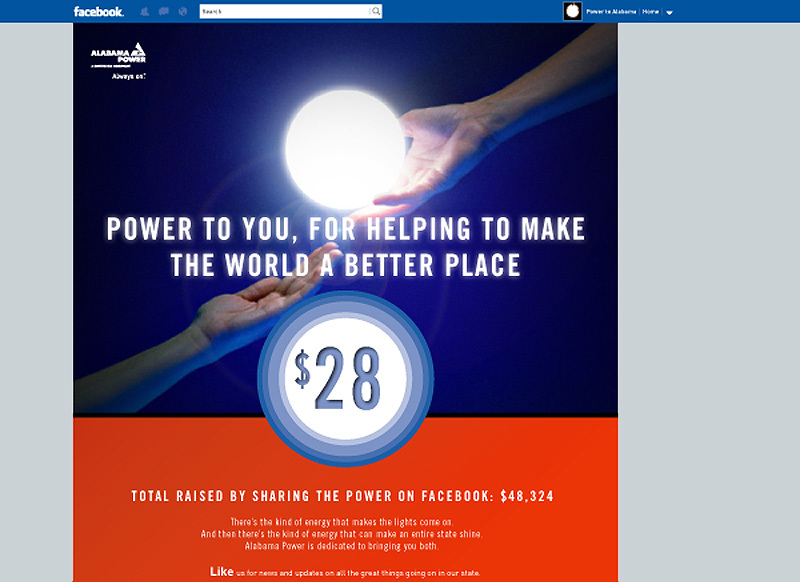 A Facebook campaign that invited people to literally and figuratively share the power by first making a donation to the cause of their choice and then passing the metaphorical “glowing sphere” to one or more of their Facebook friends. One of the ideas we came up with as a natural outgrowth of this campaign was a CNN-like news organization, created by AP, that would become the “bearer of good news” — a fully staffed, 24/7 operation that highlighted all the good things happening in the state. 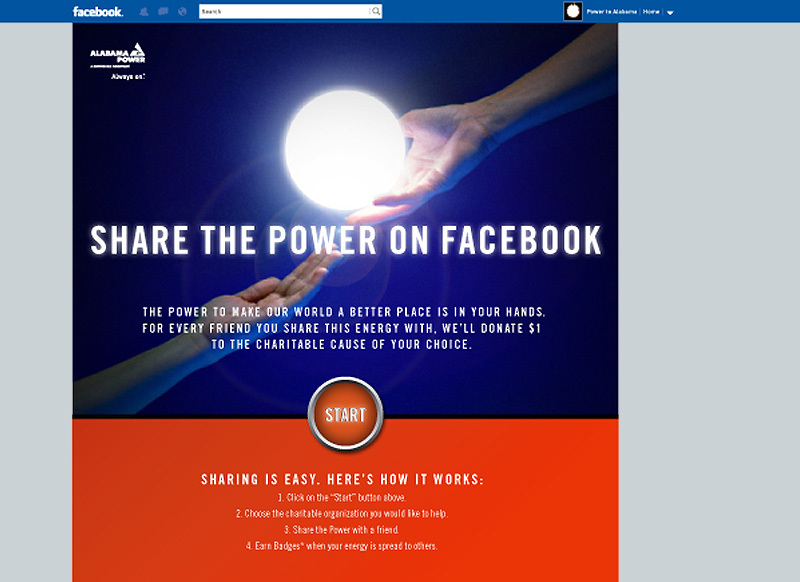 That site is now up and running.